LitHub: "21 Books to Give to Everyone You Know This Holiday Season"
LitHub: "5 Sci-Fi and Fantasy Books by Women to Bring With You Into 2019"
CHANDLER KLANG SMITH is a graduate of Bennington College and the creative writing MFA program at Columbia University. She lives and teaches in New York City. “There have been a lot of books heralded as heirs to Infinite Jest, but I can happily say: this is it. I’ve found it...Chandler Klang Smith has unleashed her own slipstream, genrefluid monster of a book – that also happens to be fun, visceral, heartbreaking, and genuinely funny. The Sky Is Yours is bursting with ideas and characters, and I’d advise you to take a break after reading it, because other books are probably going to seem a bit black – and –white for a while...The Sky is Yours may be a rollicking adventure, but it also has a bracing, honest heart." 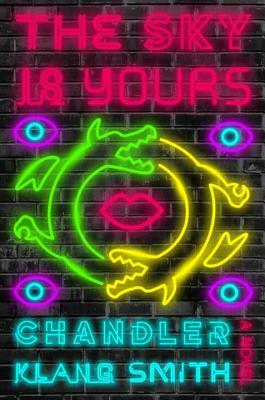 "Chandler Klang Smith's The Sky Is Yours is a visionary, funny, infuriating dystopic romp, and it's full of carefully observed character details and revelations that simultaneously broke my heart and made it soar like a dragon."